Over the last year and a half, we've heard a variety of reports concerning Pacific Rim 2. Some claimed the sequel was being delayed indefinitely. While others said it was completely dead. Director of the original movie, Guillermo del Toro, insisted that it was still moving forward, and that the creative team was doing everything to ensure that the movie was perfect. Today, we have word that the movie is actually happening. Guillermo del Toro will not return as director, as expected. Instead, the movie will be helmed by former Daredevil show runner Steven S. DeKnight. Pacific Rim 2 is once again coming from Legendary Pictures. Steven S. DeKnight will direct from the most current draft of the screenplay, which was written by Jon Spaihts, based on characters created by Travis Beacham and Guillermo del Toro. Thomas Tull, Jon Jashni, Guillermo del Toro and Mary Parent will produce. Jillian Share serve as an executive producer. Pacific Rim 2 will be released in 3D by distributor Universal Pictures. Released in 2013, the original Pacific Rim grossed $411 million worldwide, with more than 75% of the grosses coming from overseas. The movie, while not quite a blockbuster in the states, was a huge hit in China, and made $111 million in that country alone. By comparison, it only pulled in $101 million domestically. And it's poor reception in the states is one reason it has constantly been delayed. Pacific Rim 2 will mark Steven S. DeKnight's directorial debut. He most recently served as executive producer and head writer of Daredevil during its first season. He also created the hit Starz series Spartacus. He's also written and directed for such fan-favorite genre shows as Buffy the Vampire Slayer, Angel, Dollhouse and Smallville. Pacific Rim follows a battle between monster and machine. Long ago, legions of monstrous creatures called Kaiju arose from the sea, bringing with them all-consuming war. To fight the Kaiju, mankind developed giant robots called Jaegers, designed to be piloted by two humans locked together in a neural bridge. However, even the Jaegers are not enough to defeat the Kaiju, and humanity is on the verge of defeat. Mankind's last hope now lies with a washed-up ex-pilot (Charlie Hunnam), an untested trainee (Rinko Kikuchi) and an old, obsolete Jaeger. No returning cast members from Pacific Rim have been confirmed, but it is believed that Charlie Hunnam, Idris Elba, Rinko Kikuchi, Charlie Day and Ron Perlman will be coming back. 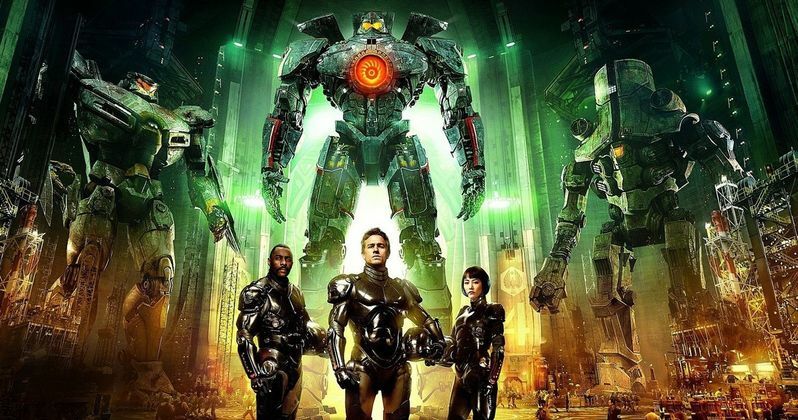 Pacific Rim 2 had been set for release on August 4, 2017, but that release date was scrapped late last year. At this time, the movie has not been given a new release date. What do you think? Are you excited to see the movie move forward?